In one scene in Paris Red, Victorine thinks of all the flowers she can to pass the time as she poses for Manet. 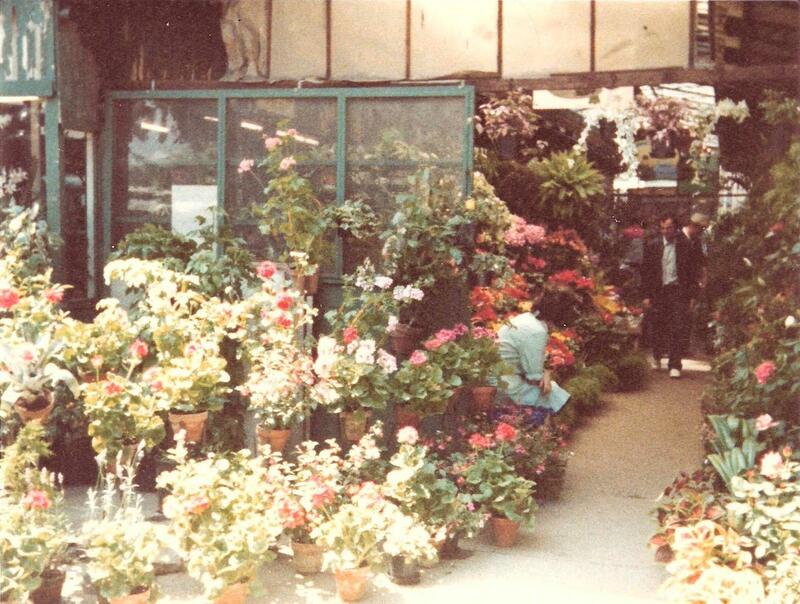 As she makes a list of posies in her mind, she also thinks about how the next day will be Sunday, the day when the bird sellers also come to the flower market on Île de la Cité—the market that is the focus of today’s post. 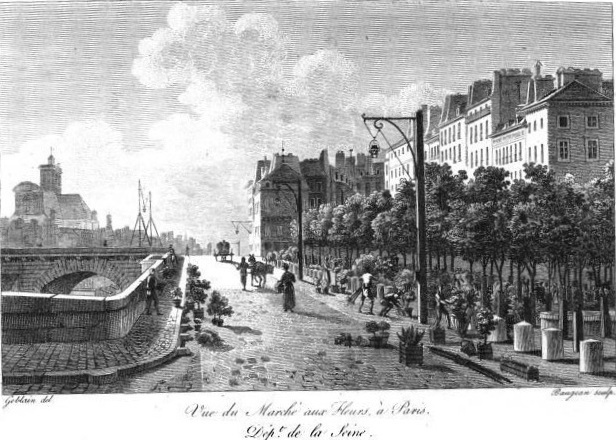 The image at the top of the post is a lithograph by Isidore-Laurent Deroy (1797-1886) of the “Tour de l’Horloge et Quai aux Fleurs” and shows the part of the flower market that has spilled out onto quai. The lithograph probably dates from the 1830s or so. This next engraving is by Jean-Jérôme Baugean (1764-1830) and also shows “Vue du Marché aux Fleurs à Paris.” It was published in 1817 in a book called Nouveau Voyage Pittoresque de la France. If you’d like to see more current—and beautiful—photos of the Marché aux Fleurs, visit Alexa Hotz’s post on the Gardenista website. And of course I hope you’ll be on the lookout for the many flowers in Paris Red.